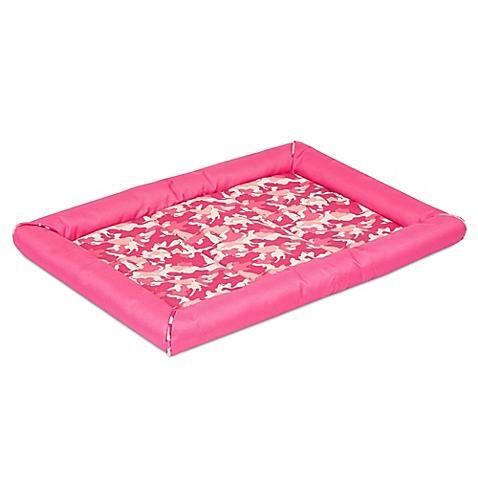 Thanks for looking at our SnooZZy® Durable Crate Mat 3000 in Pink Camo! Let your pooch rest in comfort inside a pet crate with the wonderfully snug SnooZZy Durable Crate Mat 3000. This soft, plush and durable mat fits perfectly into most standard wire pet crates. Mat can be used as a comfy bed outside the crate, too.